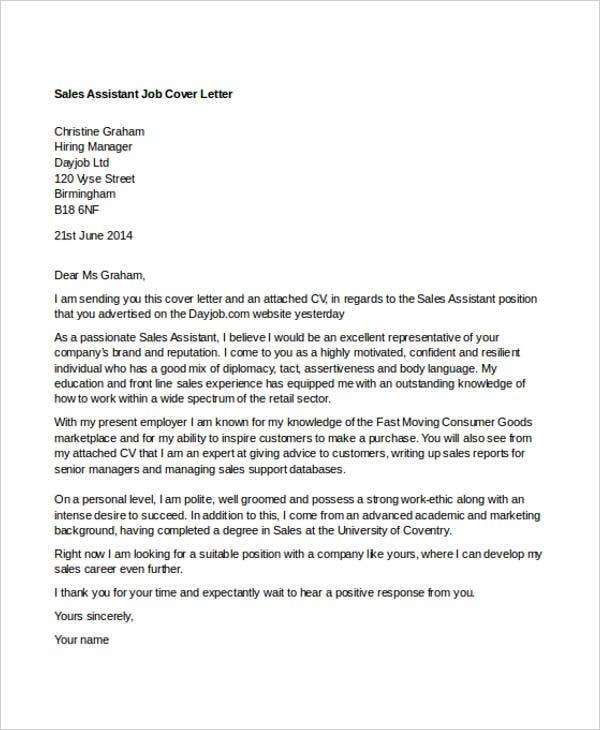 Cover Letters are used to provide support to the content of a candidate’s resume. 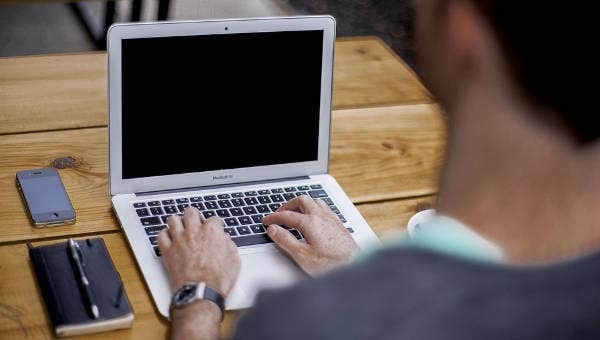 Commonly, cover letters elaborate items in one’s professional profile and one’s list of qualifications. 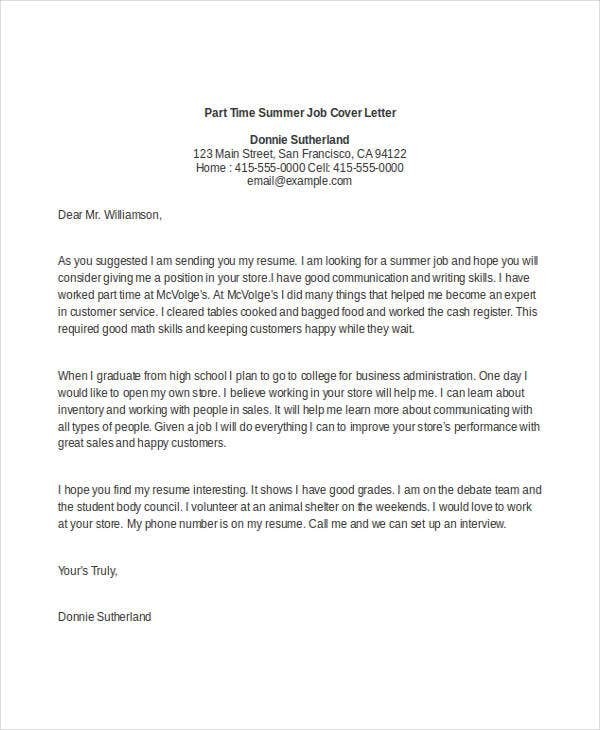 You can use a cover letter sample to solidify your application even if you are targeting a part-time job position. 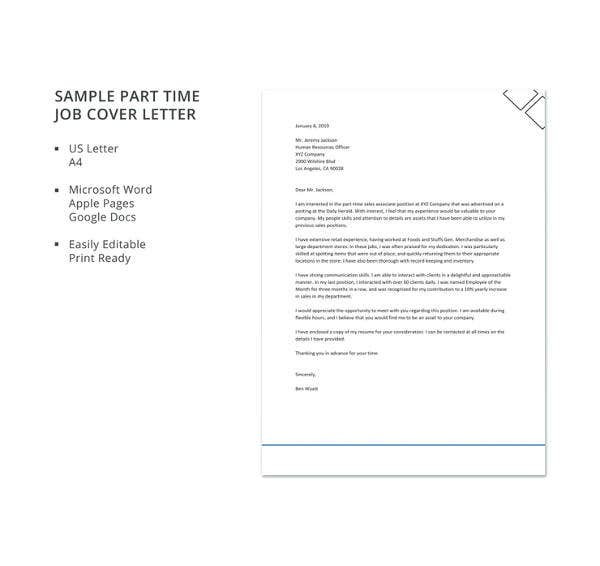 We have collected a number of part-time job cover letter templates and samples that you may use as guides in creating a comprehensive and appealing part-time job cover letter. 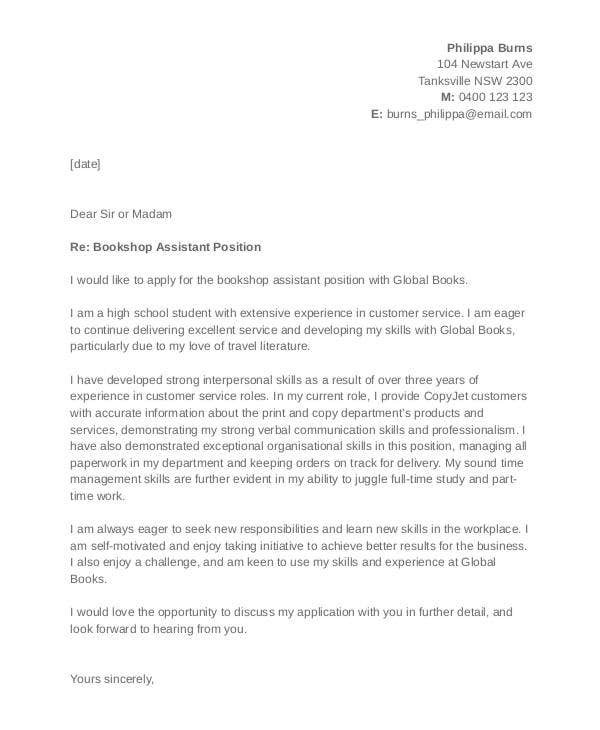 Our samples can be downloaded from this page, which contains various kinds of Cover Letter Formats applicable in different industries and fields of expertise. Highlight your educational background, your academic performances and any extra-curricular activities that may be relevant to the job. Capitalize on your skills and abilities as they can somehow compensate to the lack of previous job functions that you cannot present for the mean time. Focus on other qualifications and competencies which can be helpful to the operations of the business. This may include the soft skills a company needs, like interpersonal skills, problem-solving and adaptability. 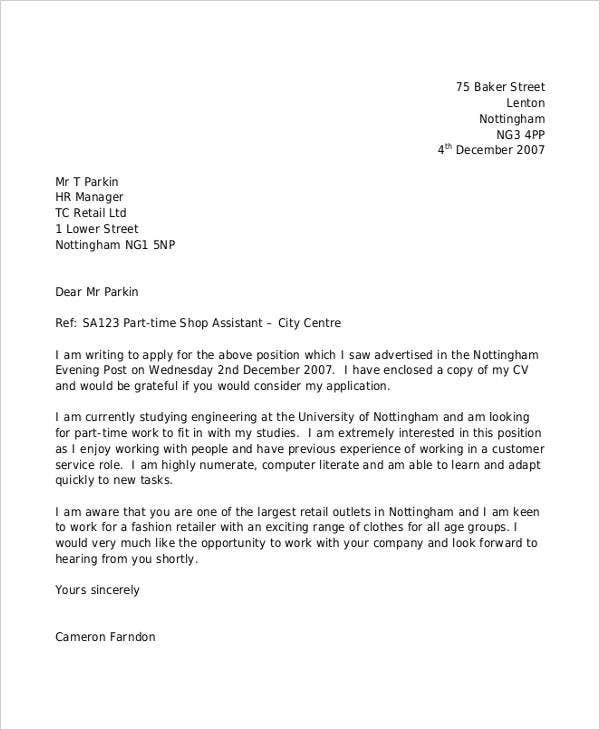 All this, however, doesn’t mean that you should hide the fact that you have no work experience. Come clean about this, but make sure to state that you are willing to learn and be trained. 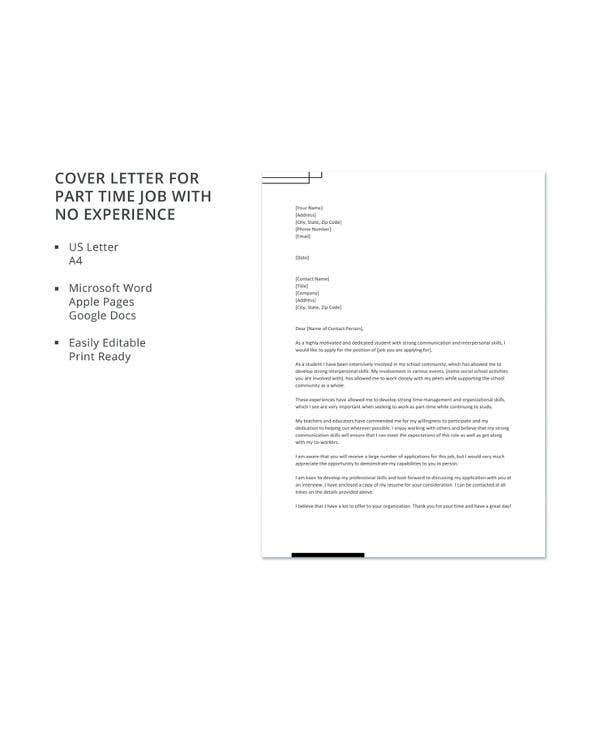 We have a variety of Cover Letter Templates for you. Select those that are for entry-level positions so it will match with your current employment condition. 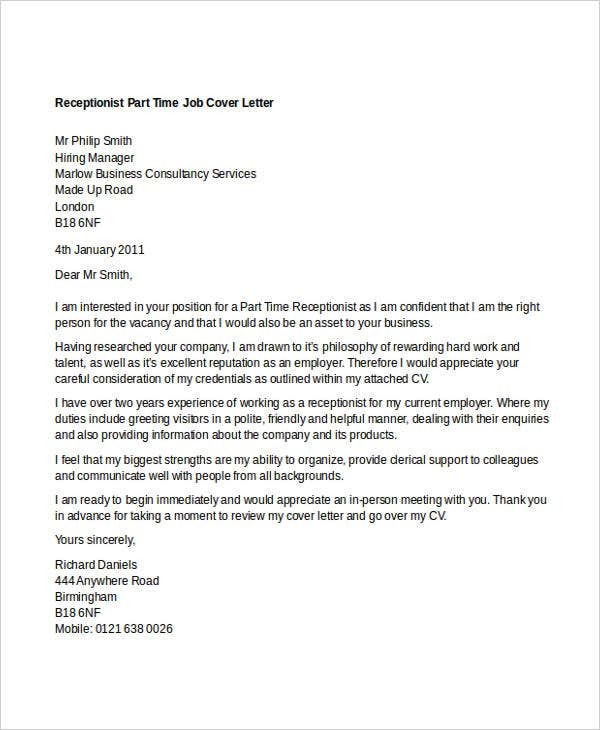 For more options and references, you may also browse through our list of downloadable Professional Cover Letter Template. Make sure that you are aware of the operations of the business where you are currently applying. 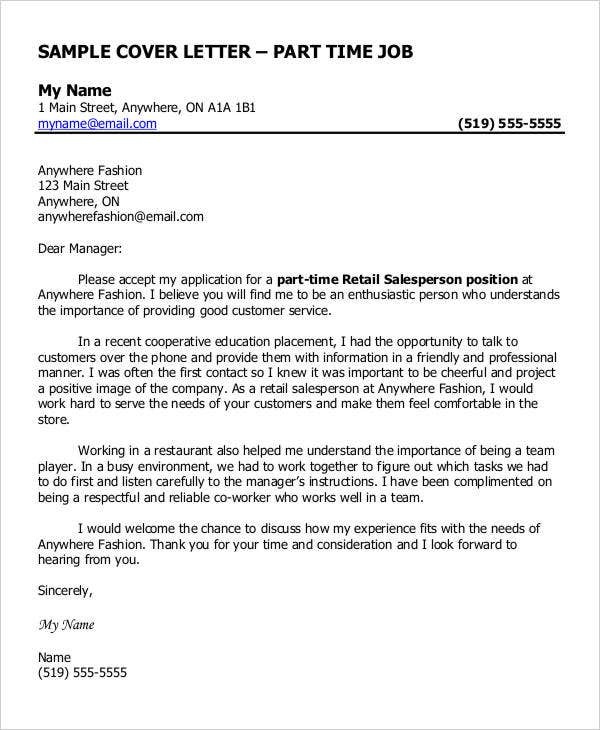 Create a sample cover letter that will highlight your experiences in the field or industry where the business belongs. 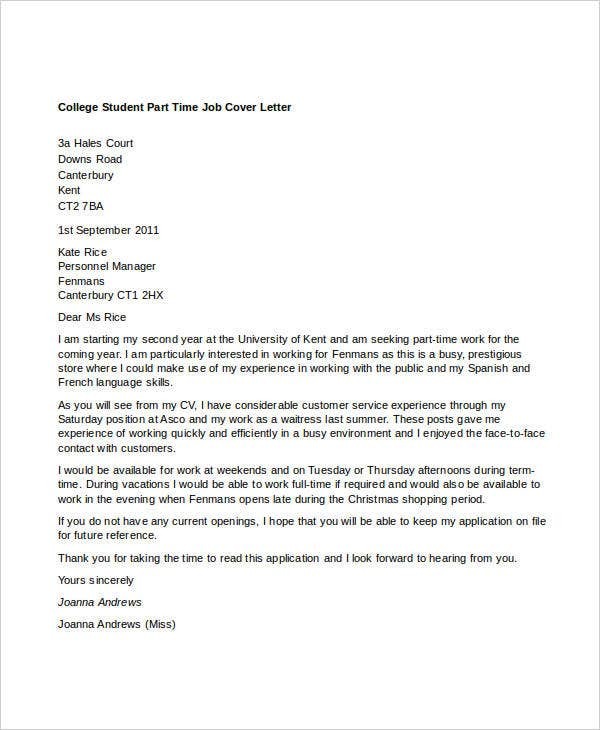 Make sure that your cover letter will specify the valid reason you chose to apply for a part-time job position rather than a regular one. Specify instances where your competencies have been used in the business operations of the company where you currently worked. 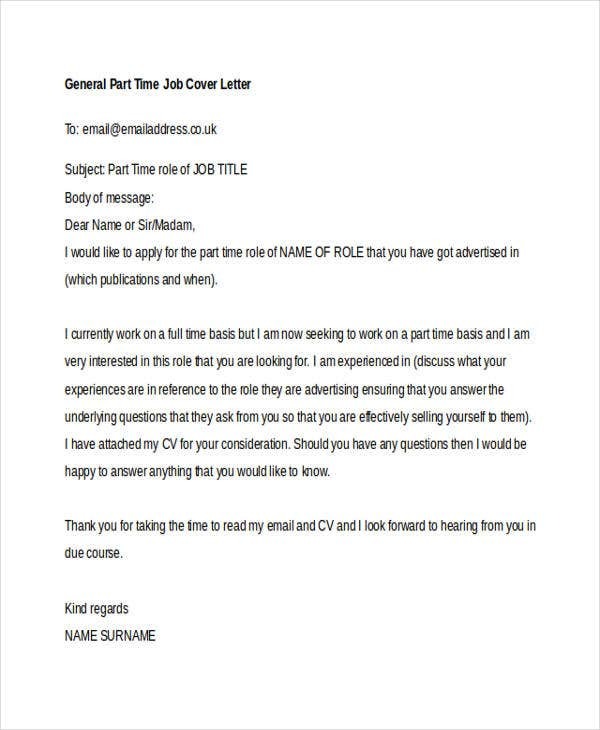 For a more convenient experience, use any of the available templates listed on this post to guide you in creating a complete and striking part-time job cover letter. 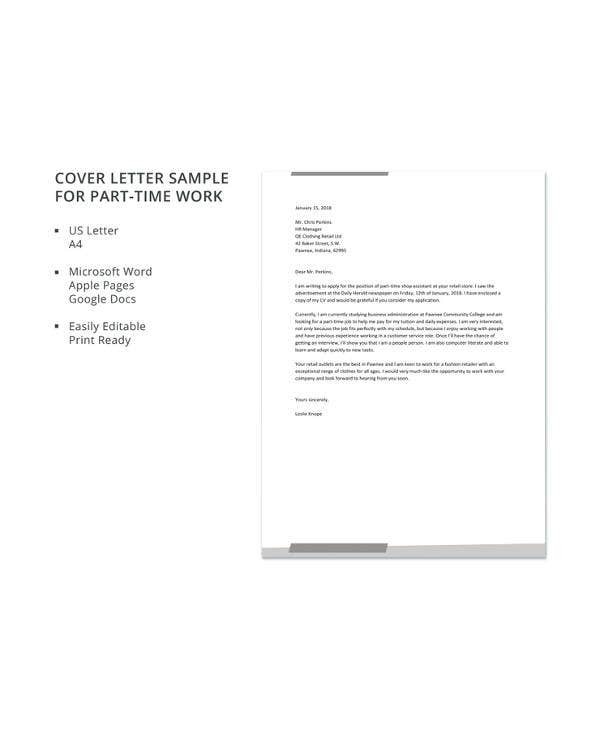 Aside from our samples of part-time job cover letter templates, our Entry Level Cover Letter Template samples are also available for download.